Theresa Mack, M.D. and Jason Mack, M.D. Theresa Mack, M.D. * and Jason Mack, M.D. 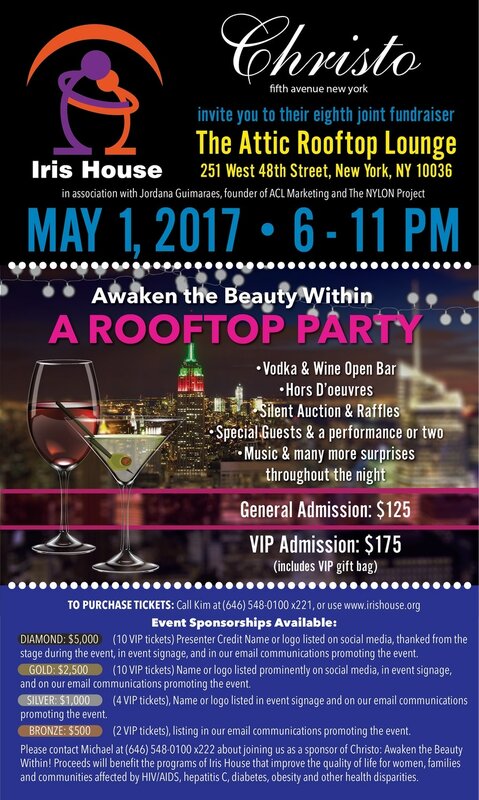 If you prefer to purchase tickets by phone, you can call Kim at (646) 548-0100 x221. Our Friends at Kaleidoscope Collaborations produced a fundraiser on January 9, 2016 for the Iris House family! Witti Repartee's Broads, Bawds and Bachelorettes 3 was a great success, featured nearly a dozen performers and auction and raised over $4,300 for our programs! 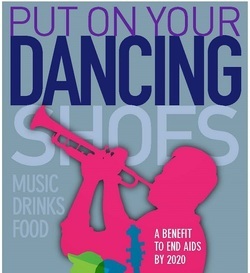 You can help save lives while dancing up a storm! Join the Iris House family for a night of dancing to the fabulous Karl Browne Band, featuring DaChonne Nicole, who kept folks dancing (in and out of their shoes!) at last year's festive dance party! Heavy Hor D'oeuvres, Wine and Beer and desserts will keep your stomach full while a silent auction to help women and families coping with HIV will do the same for your heart! Join us for what we hope becomes an annual tradition of putting on (and then kicking off!) our dancing shoes! Happy Hour at The Coupe in Washington, DC! program providing support services for women and families living with HIV. Wristbands available at the door for this special pricing event!